Perri Lynch and I collaborate in making electronic ambient music from field recordings under the name RADIUS. 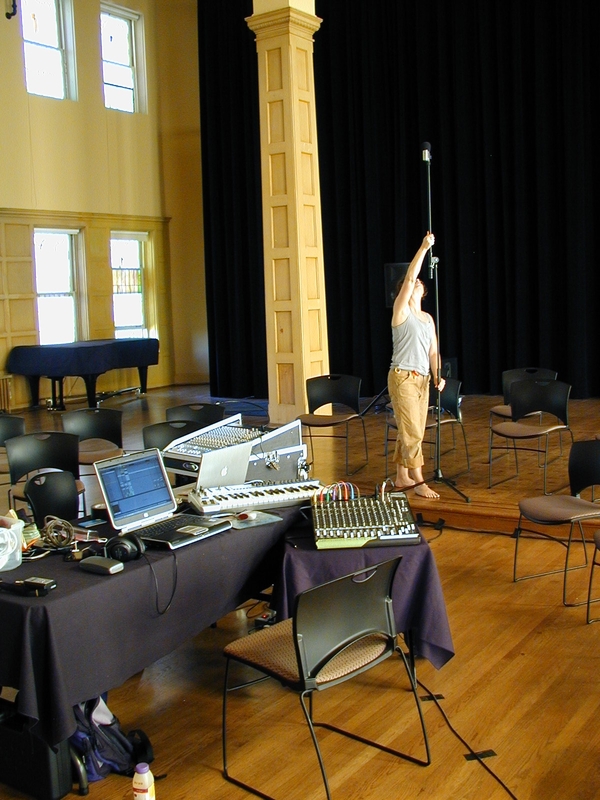 Our newest efforts will be heard 19 July at the Chapel Performance Space – for this concert, we will be using field recording made by Perri all over the world as the raw material. As Perri creates a sound collage out of these recordings, I will sample her output live and electronically process the resulting samples using Ableton Live, Max/MSP, and various VST plugins. I inject the results of these transformations into the overall mix, and Perri comments upon my additions with new material, resulting in a feedback loop based on listening and responding. 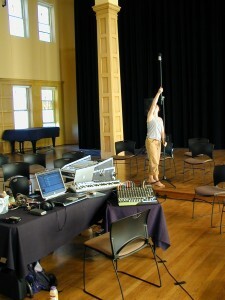 For this particular show, we’ve got the Chapel’s wonderful sound system to work with, and so we will be placing sounds in six-speaker surround. It should be fun! Posted by David Stutz on Friday, July 18, 2008, at 4:30 pm with permalink. Tagged ableton, ambient, experimental, maxmsp, music, perrilynch, radius.